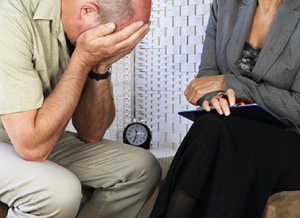 You are searching for a counsellor or psychologist in Dubai? You don’t know who is the best for your specific problem? You don’t know where to start? Follow these 8 tips and you are much closer to your goal. Let’s start with the most complicated question. In Dubai you will find licensed counsellors, psychologists, psychiatrists, therapist, psychotherapists and clinical psychologists. Some have a doctoral degree some don’t. So, what’s the difference? Which one should you chose? The difference between a counsellor, psychologist, psychiatrist etc. is the education (type and length of study, licensing, training). At this point I would like to make it very simple and not go into detail or judge which profession is better. Does the profession or title matter to you? Not really! You want to know if the counsellor or psychologist etc. is experienced in a specific field. To find out, you should check their profiles. This is a good tool to see if the counsellor or psychologist has worked in a certain field in the past or has a special interest in it. If the profile is not too comprehensive, call the center and ask specific questions. For example: Has the counsellor or psychologist experience in treating anxiety disorders? If you found a counsellor or psychologist fulfilling these criteria you are one step closer. There is one exception. If you are looking for somebody in Dubai who is allowed to prescribe controlled medicine like antidepressants or psychopharmaca, you have to look for a psychiatrist. In Dubai only psychiatrists are allowed to prescribe these type of medication. However, a professional counsellor or psychologist is always working closely with a psychiatrist. That’s your personal choice. I know that many people prefer to speak about certain problems only with a female or a male counsellor or psychologist. That’s fine. But what do you do if you find a counsellor or psychologist with a great profile matching your personal problem, but it is not your preferred gender? Take in consideration that – despite the first impulse – with some problems it could be even beneficial to take sessions with a counsellor or psychologist who is of the opposite gender. To see things from a different perspective may not be a bad thing. A very specific issue for Dubai. At first sight it seems to be obvious that you need a counsellor or psychologist speaking your mother tongue. But don’t overrate the language barrier. Contradictory, it could even be beneficial for you to have a counsellor or psychologist who doesn’t speak your mother tongue. In this case you won’t have the possibility to hide behind flourish words and technical terms. You would have to say things in a more simple way like “I am happy” or “I am sad”. And in most cases that’s true as counsellors or psychologists are dealing mainly with basic questions or problems of life. This point is very specific for Dubai, too. As with the language barrier, you will find advantages and disadvantages of a counsellor or psychologist who is not of the same religion. Consider that most psychological issues are found identically in all religions or cultural surroundings. The counsellor or psychologist should understand the basic cultural influences. However, the real issue is mostly a universal human need. Please be aware that also counsellors or psychologists have the right to protect their privacy. If a counsellors or psychologists doesn’t want to reveal their religious believes, you should respect that. You want a counsellor or psychologist at your doorstep in Dubai? Who wouldn’t? Accessibility of service is an important point as we are talking about a longer relationship, not a one-time visit. But be realistic. If you found a great counsellor or psychologist who seems to be able to help you with an important problem in your life, would you exclude him or her because the drive is 15min longer? The time could be well invested. Let’s be honest. Price does matter. As always. Especially because we not speaking about a one-time visit, rather 5 to 10 sessions. 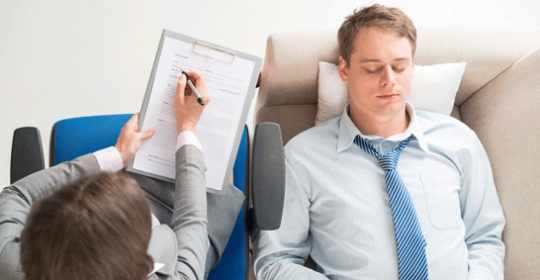 Prices for a counsellor or psychologist in Dubai vary from 350AED to 1200AED per session. For psychological service the same rules apply as for any other service you use. You won’t find the best quality for the cheapest price. On the other side you have to watch out not to be ripped off by a high price for average or low quality. Quality has its price. Let’s keep it simple and start with mid-range prices. That’s in Dubai for a counsellor or psychologist between 500-700AED per 60min session. Watch out to compare equal timings. Call the center and ask for the duration. Some offer a surprisingly cheap services but it’s only 45min or 30min. 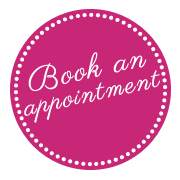 If you are searching for a very special service like family or marriage counselling, higher prices may apply. If this price range is above your budget, there is a good tip. Search for group therapy sessions. It may sound like a turn-off, but do some research about group therapies. It’s a very powerful technic in psychology. For a group therapy session you should only pay half of the price of a single session. Like this you can reduce the over-all price. Have you reviewed quotes of health insurances recently? If yes, you found that counselling or psychological and psychiatric services are clearly stigmatized. It appears that there are two types of medicine. “Normal medicine” and “Psychiatry, Psychology, Counselling”. A counsellor or psychologist is mostly only in the top plans covered. And if, then only a restricted number of sessions like 10-12 sessions. At this point I won’t start the discussion if this is fair or asking for the reasons. If you have a psychological issue and you need to see a counsellor or psychologist in Dubai now, you have to take this as a fact. So check with your insurance first if it is covered and then start searching. Talking about personality, we are talking about your personality and the personality of the counsellor or psychologist. Psychological sessions require a certain professional “therapeutic” relationship between you and the counsellor or psychologist. Meaning you have to “click” with your counsellor or psychologist. But many people misunderstand this. They are searching for the same type of empathy and understanding they expect in a personal relationship. But we are talking about a professional relationship. You want a counsellor or psychologist in Dubai who works together with you to achieve a specific goal, who makes you work, who makes you face your one mistakes, who guides you thru difficult times. This means it can get difficult and unpleasant during therapy but that’s not a bad thing. However, if you feel too uncomfortable or if the counsellor or psychologist is acting non-professional, you have to switch to another counsellor or psychologist in Dubai immediately. So, you just need to find a counsellor or psychologist in Dubai, who is highly specialised in your personal problem, educated at the best schools in the world, located at your doorstep, speaking your mother tongue, having your preferred gender and is charging the cheapest prices on the market. Moreover the sessions should be fun and all your problems are solved in no time. Easy! Well, sounds like you have to be ready to make compromises; be it taking a bit longer drive in consideration, speaking not in your mother tongue or paying a higher but reasonable price etc. Be realistic, define your goals and most importantly start at one point. You can always switch the counsellor or psychologist later. It’s better to start with one, who might be not perfect and then switching to a better counsellor or psychologist than not to search any help at all. I hope this guide makes it a bit easier to access the service you need. Get well soon.